The primary mission of the Korns.org website is to facilitate the sharing of historical evidence among far-flung Korns family descendants, so that we can weigh the evidence ourselves, and expand our knowledge of the history of the family. Information that you wish to share can be sent to L. Dietle, site administrator. 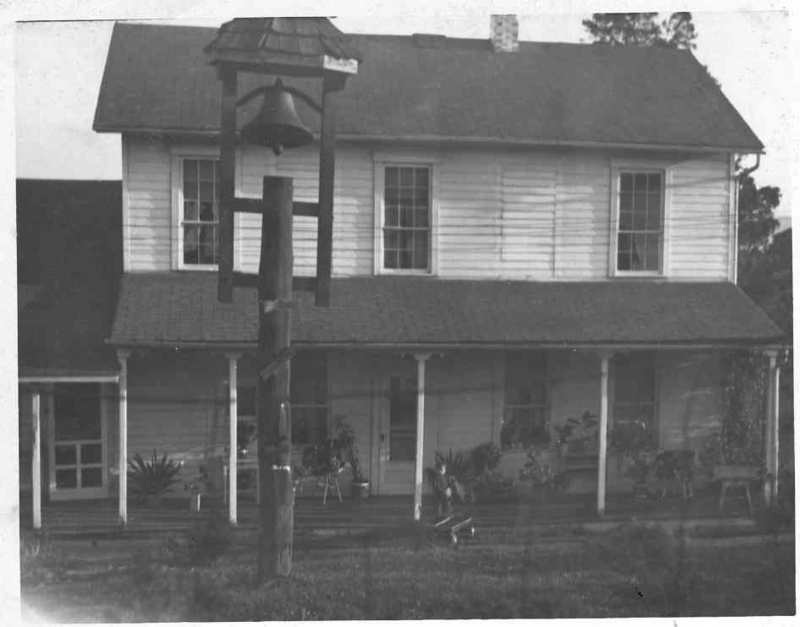 This Korns family history web site originally began as a way to share my collection of photos of the historic Southampton Township family farm that is associated with my ancestor Michael Korns, Sr. with other Somerset County, PA researchers. The photos were taken specifically to record the architectural and construction details of the house, the stone barn and the spring house for historical purposes-although it isn't known for certain that they were built during Michael Korns, Sr's lifetime. Southampton Township is geographically isolated, and I felt that not enough was being done to document the area's rapidly-disappearing original vernacular architecture, compared to what has been accomplished in other portions of Somerset County. Michael Korns, Sr., son of Carl Korn, was born in Berks County, PA in 1760, died in Somerset County, PA in 1824, and is buried in the Cook Cemetery near Wellersburg PA. His children were Daniel, Catherine, Mary Magdalena, John, Susanna, Rebecca, Charles, Christina, Barbara, Delila, Michael Jr., and William Korns. Although many of his descendants moved on to make their homes in Holmes County, Ohio, Tama county, Iowa and other points westward, my own Korns family ancestors were all born and raised in Southampton Township, within walking distance of the Michael Korns, Sr. family homestead and the equally historic Lepley homestead, which is associated with several generations of Pennsylvania long rifle manufacturing. My grandparents Allen and Gladys (Bittner) Korns lived on the farm that had been the home of Allen's parents John Wison and Mary (Geiger) Korns, and before that the home of Allen's grandparents Daniel and Caroline (Tressler) Korns, Jr. Because it had been in the Korns family for so long, the farmhouse contained many old family-related artifacts that have now been inherited by their children and grandchildren. As this website grew, I realized that I could track down various of those Korns family artifacts to be included here to share with other descendants. Over the years, hundreds of additional Korns-related photos and documents have been contributed by descendants from across the United States. One of my long-time goals has been to make the uncopyrighted 1949 book "The Genealogy of Michael Korns, Sr. of Somerset County Pennsylvania" available once again. For a long time, I was deterred by the high cost of conventional print publication. Now, thanks to the advent of the scanner, the internet, and the Adobe Acrobat PDF format, this wonderful record of our family pedigree can be downloaded for free by anyone interested in their Korns ancestry. A text version of the book is also available. This book provides the genealogy of the American Korns family, beginning with the immigrant pioneer ancestor Carl Korn, who arrived on the ship “Edinburg ” in 1752 and settled in Maxatawney Township, Berks County, PA with his wife Otilla. They were the parents of Catherine, Charles, Michael, Jacob, Daniel, Henry and Magdalena. Recent researchers believe that they have found Carl and Ottila's 1752 marriage announcement and through various German church records including a 1725 baptism record and a 1738 confirmation record, believe that Carl's parents were Michael (son of Eberhart) and Anna Elizabetha (Huy) Korn of Kriegsfeld, Rheinland (Germany). To help facilitate genealogy research, I added a site master index, links to related third party web sites and a site search engine. Genealogical information on the allied Bittner, Petenbrink and Lepley families has also been included. As you study this website, be a critical thinker, and be ever mindful of the words of Major-General Joshua Lawrence Chamberland, who observed that "History is written for the most part from the outside. Truth often suffers distortion by reason of the point of view of the narrator, some pre-occupation of his judgement or fancy not only as to relative merits but even as to facts in their real relations."